This isn't my typical Friday Finds where I post on some good steals. Instead, today I'm bringing you some inspirational finds that made me saying "ooooh! aaahhh!" You know, because everyone needs a little ooh and ahhing on Fridays. Built-in shelves have somewhat become the norm in newly manufactured homes. But by giving them a coat of black paint, you can make them look custom and captivating. They are a great contrast to the white mantel and cabinets and better showcase the homeowner's collections when painted a bolder color. 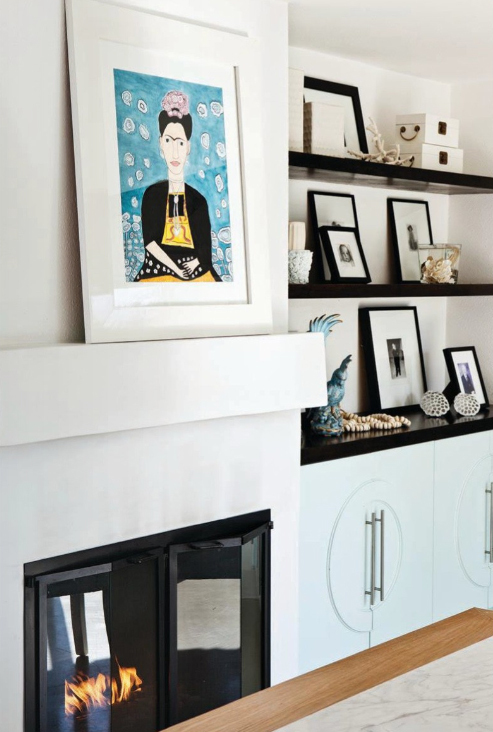 Amanda Nisbet is a designer who loves to use color and knows how to do it well. This entry way is a perfect example of that. 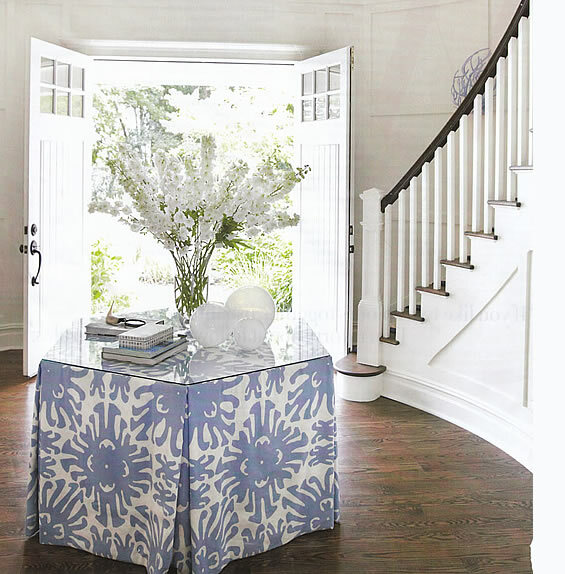 My favorite color is periwinkle and that fabric is to die for so naturally I'm drawn toward the entry table. Of course the double front doors and winding staircase don't hurt either. This bathroom is simple and chic, just how I like it. 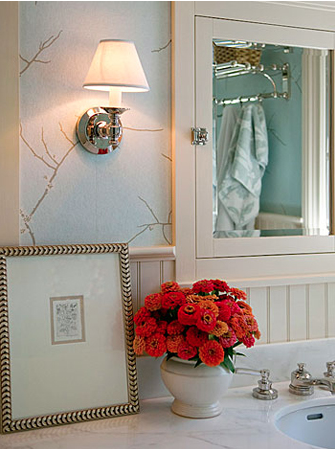 Add a little elegance to your bathroom by placing a beautiful matted framed on your vanity. And be sure to bring in a vase full of fresh flowers when your summer visitors come into town! A pop of yellow does a room good. 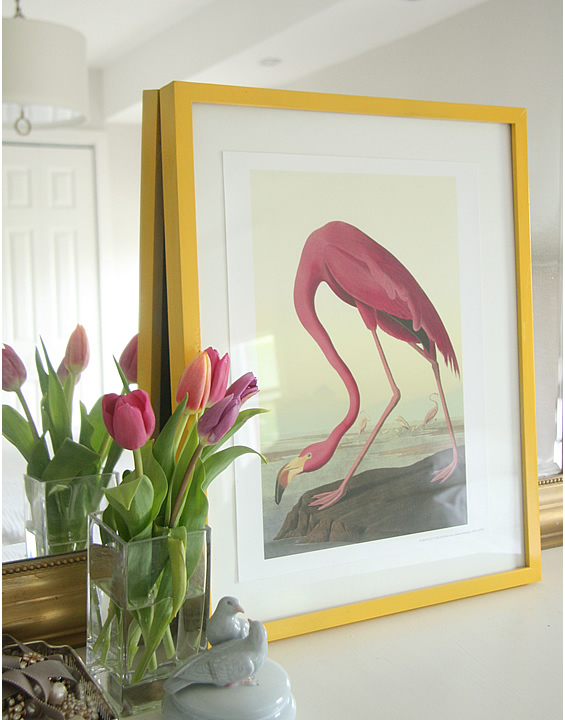 This is an inexpensive Ikea Ribba frame that was simply spray painted yellow. It gives it an instant transformation perfect for a little flair and great for summer!